We are excited to announce our latest free resource to assist professionals - the SAS Individualised Planning Guide! 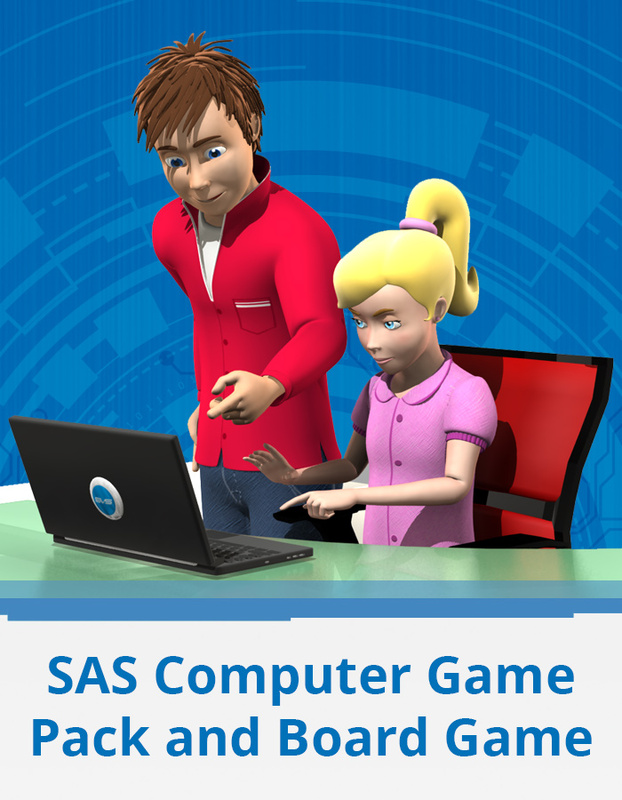 This downloadable booklet outlines how you can use the SAS Computer Game Pack to compliment your individual work at school, clinic or home. What Is Secret Agent Society? 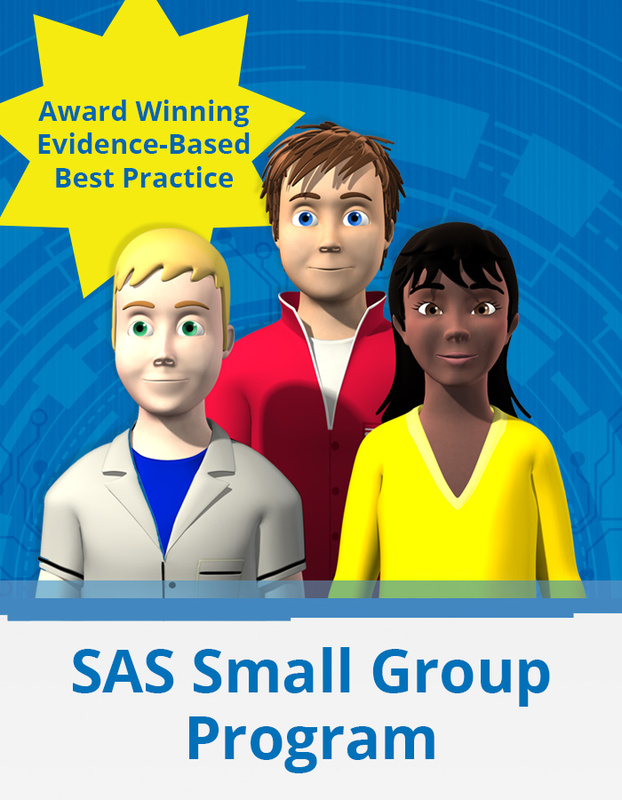 Secret Agent Society (SAS) Small Group Program is an evidence-based, multimedia curriculum to help children improve their social and emotional resilience. 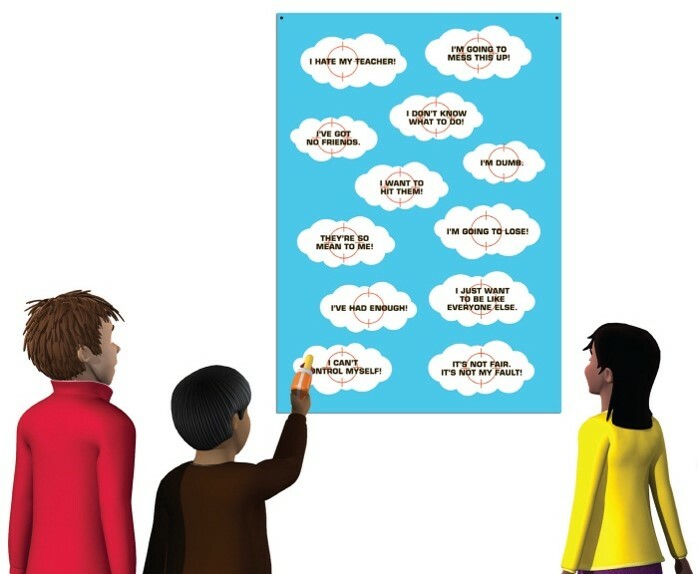 Many schools are using SAS to help guide the writing and implementation of individual learning plans – clear goals, child motivation, strategies and resources to support everyone! This breakthrough social skills approach is used with 8 to 12-year-old children with a range of social and emotional challenges. Some of the SAS resources are also available separately, allowing you to offer SAS to your students and families at different levels. Secret Agent Society (Sas) Small Group Program Provides Staff With A Ready-To-Use Curriculum And Set Of Innovative Resources To Help Children Improve Their Social And Emotional Skills. The Secret Agent Society (SAS) Small Group Program captivates children with its espionage-themed games and activities and eye-catching resources. Kids love playing the multi-level computer game, Helpful Thought Missile action game, Challenger board game and Secret Message Transmission Device walkie-talkie game! 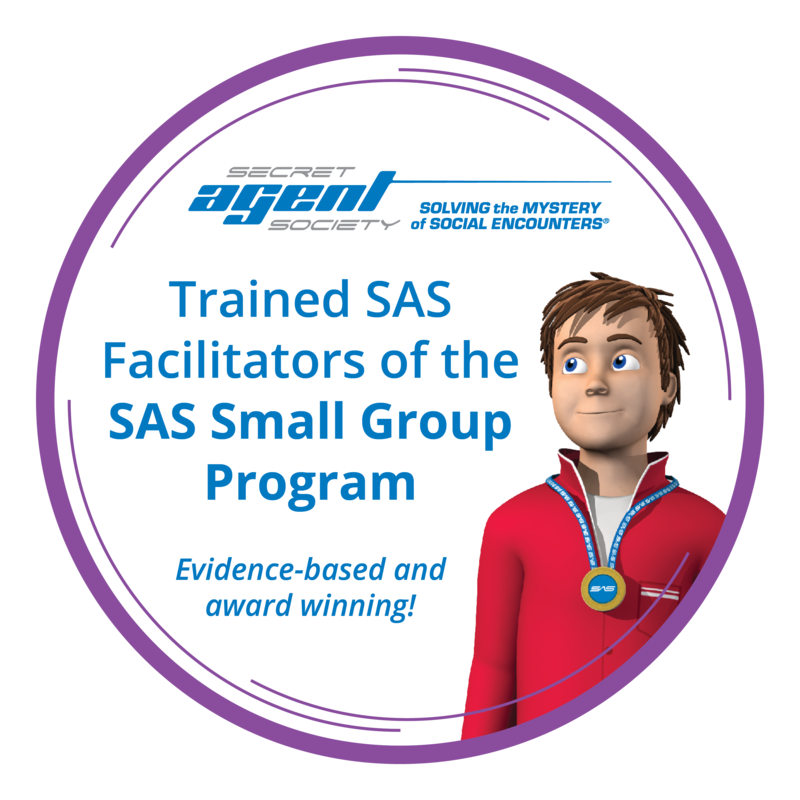 Multiple research evaluations have demonstrated the effectiveness of the Secret Agent Society (SAS) Small Group Program in improving the social-emotional skills of children with a range of social emotional challenges in clinical and school settings. One university randomised-controlled trial found 76 per cent of children with Asperger’s Syndrome, who had clinically significant delays in social-emotional functioning, improved to displaying these skills within the range of typically developing children on a parent-report measure (Beaumont & Sofronoff, 2008)*. 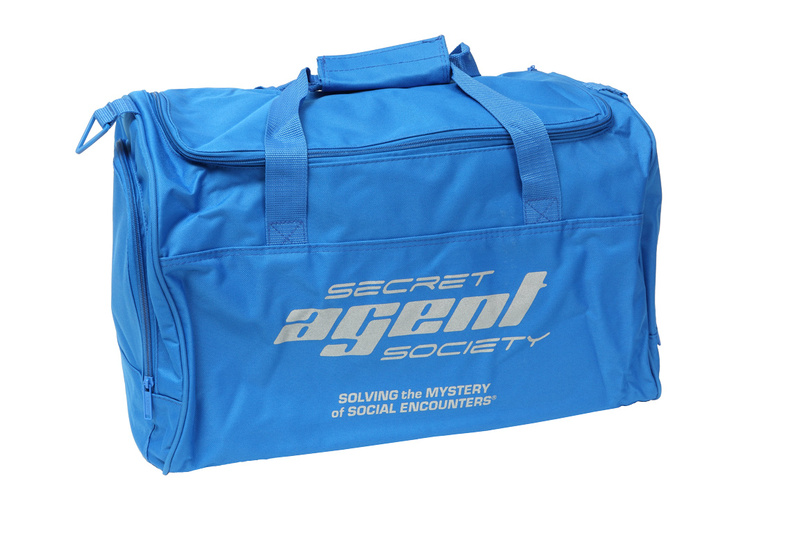 How Can Secret Agent Society Help My Service? The program materials and structure provide a consistent, evidence-based approach to service delivery in line with best practice guidelines. The Secret Agent Society (SAS) Small Group Program is a multimedia group program which uses an evidence-based curriculum and integrated set of resources to teach children social and emotional resilience. Research shows improving these skills helps to build self-esteem, enhance family relationships, lift academic performance and reduce the risk of bullying and victimisation. SAS involves children, parents and school staff in the program from day one. This high level of support and integration is one of the reasons why SAS is so successful. Reproducible assessment measures with demonstrated reliability and validity are included in the intervention package to evaluate children’s social-emotional skill profile and to track their progress through the Small Group program. In-house training is available to government departments, clinical networks, schools, community groups and professionals in other organisations through the Social Skills Training Institute. How Can Secret Agent Society Help Professionals? The Secret Agent Society (SAS) Small Group Program provides professionals with a ready-to-use curriculum and set of resources to help children improve their social and emotional skills. SAS helps educators, therapists and other professionals feel more confident about how to help children struggling socially and emotionally - because the evidence-base, session planning and materials have all been provided. The group program is for children between the age of 8 and 12 and can be delivered over 12 or 23 sessions in a school or community setting. 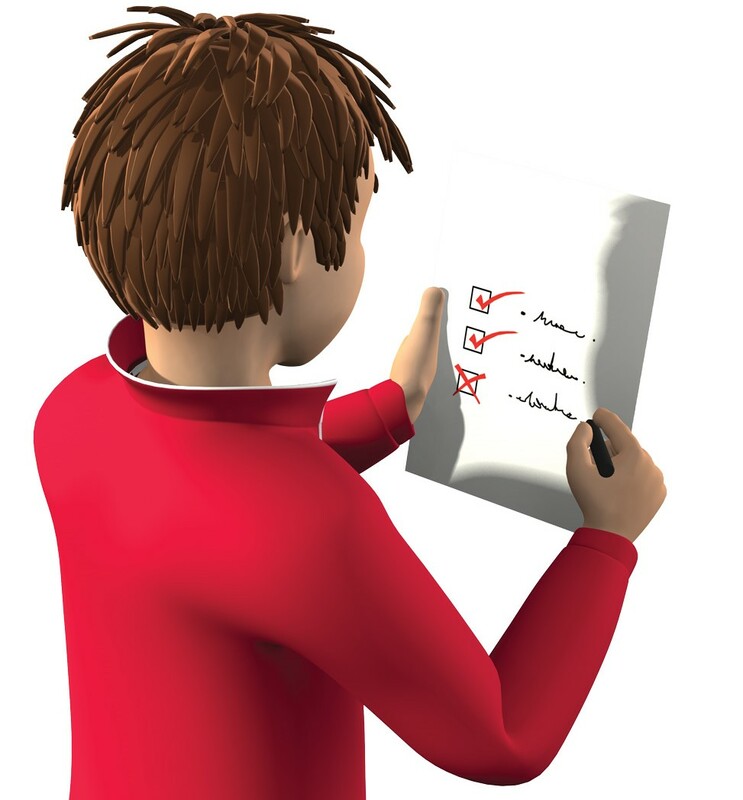 SAS involves child group sessions, parent education, teacher tip sheets, real-life missions and a reward system to motivate progress at home and school. 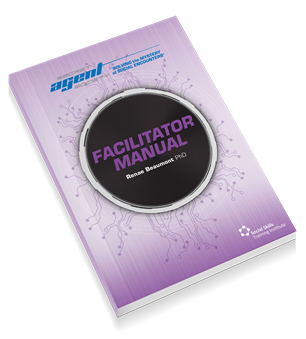 The Social Skills Training Institute offers 2-day SAS Facilitator Training courses presented by skilled professionals. The active professional development events involve interactive activities, viewing of child session footage, and hands-on skills practice. Follow-up support is provided to help facilitators tailor the program to meet the needs of individual clients or students. An optional accreditation process is also available to recognise competence in program delivery.